Over the past few days, a number of animation trailers have been making waves on the interwebs. For the benefit of anyone who might have missed them. we thought we'd put them together in one handy place. You're welcome! 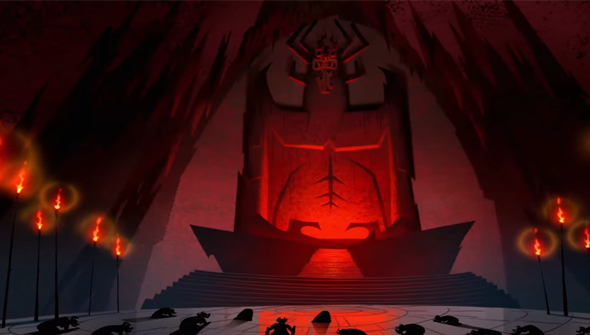 First up is the eagerly awaited first proper trailer for the return of Samurai Jack. This is everything fans could have hoped for- atmospheric, action-packed and as stylish as ever. A few splashes of blood are also an indicator that the new series will be taking advantage of its new home of Adult Swim with a more mature tone. Season 5 of Samurai Jack comes to the Toonami block of Adult Swim in the US on March 11th at 11pm. The Lego Batman movie hits cinemas in the US and UK this week, but ahead of that we've got our first look at 2017's other Lego movie- The Lego Ninjago Movie. This had been something of an unknown quantity up until now, but the trailer reveals that this will be stylistically consistent with the previous Lego movies, with a similar irreverent sense of humour. This will also bring Lego-fied martial-arts action to the party, as hinted at by the presence of the legend that is Jackie Chan in the voice cast. The Lego Ninjago movie will be in cinemas this September. DC's Teen Titans are coming back in an upcoming original movie from DC's animated line, called The Judas Contract. It's not connected to the early-2000's Cartoon Network show, but it's also a long way from their other small screen incarnation- the much maligned Teen Titans Go. Coming soon to Blu-ray, DVD and digital.